The countdown to summer has officially begun, so it's time to fire up the grill! But your barbecue doesn't only have to be ground zero for classic main courses that every grill master should know. 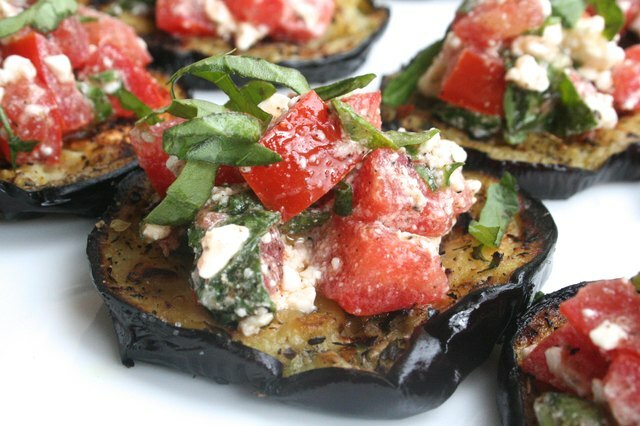 It should also be a place for ingenuity, and that's where this mouth-watering eggplant comes in. The flavor of the smokey, grilled veggie pairs perfectly with a topping of fresh caprese salsa, and it all makes for a delicious meal. Throw on your flip flops, grab your tongs and get working on an unexpected dish that puts predictability up in smoke. 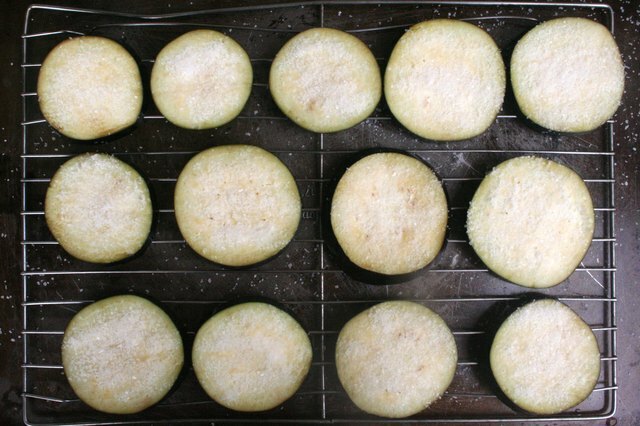 Arrange the eggplant slices in a single layer on a wire rack placed over a cookie sheet. Sprinkle both sides of the eggplant slices with the coarse salt and let them disgorge. Allow the eggplant to sit for 30 minutes. "Disgorging" removes bitter juices and tenderizes the eggplant. 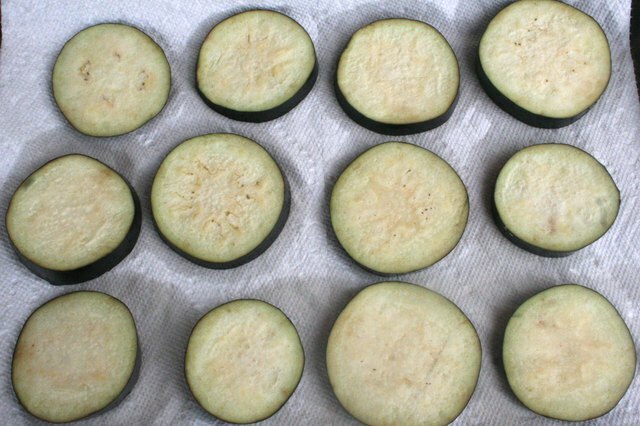 Rinse both sides of the eggplant slices under cold water to remove the salt. Pat the slices dry with paper towels. In a small bowl, mix together the olive oil and minced garlic. 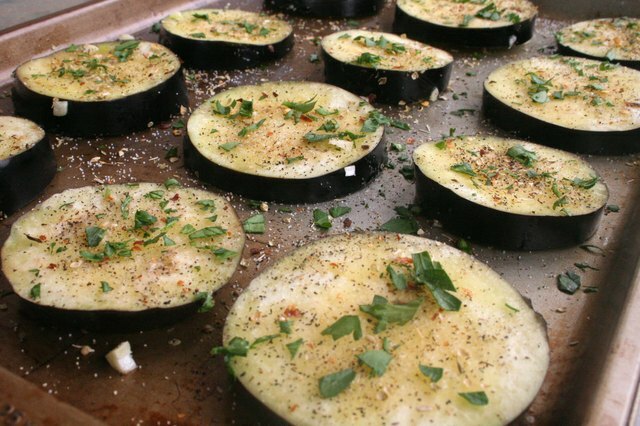 Place the eggplant slices on a cookie sheet, then brush the garlic olive oil on both sides of the slices. Next, season both sides of the eggplant with the crushed red pepper flakes, dried oregano and chopped parsley. Lastly, sprinkle with salt and pepper. Spray the grill with grilling spray, then preheat to "high" heat. 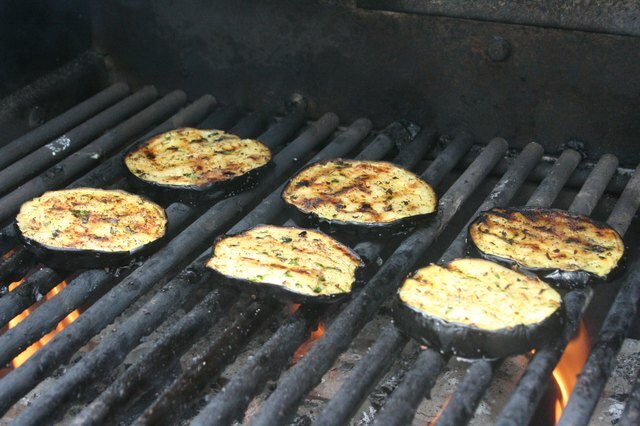 Once the grill is ready, place the eggplant slices on the rack and cook until browned on both sides, or approximately 5 to 8 minutes per side. If desired, rotate the slices 90 degrees after a few minutes on each side to create a cross-hatch of grill marks. Remove the eggplant slices from the grill, and then let them cool to room temperature on a plate. 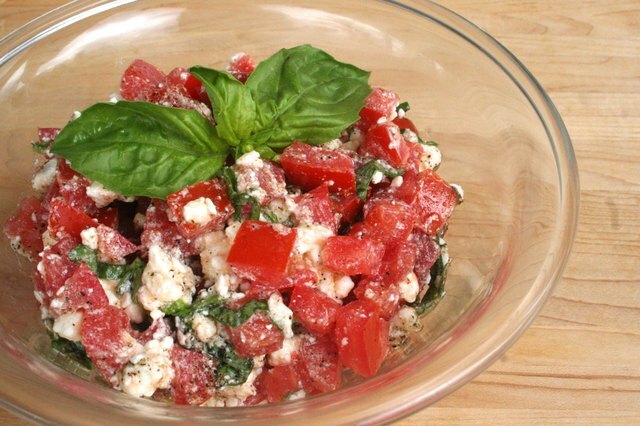 In a medium bowl, gently mix together the diced tomatoes, basil, olive oil and crumbled feta cheese. Season with 1/2 teaspoon of salt and 1/2 teaspoon of pepper, and then mix again. 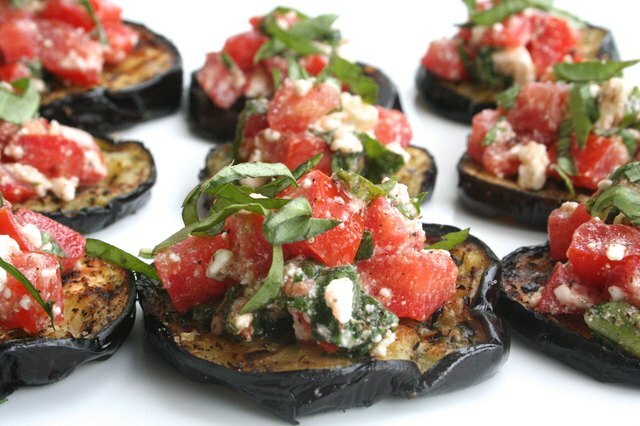 Top each slice of eggplant with a spoonful of the caprese salsa and garnish with additional basil chiffonade. Serve and enjoy!